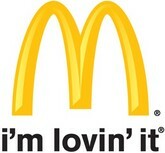 The McDonalds Company was incorporated by brothers Richard and Maurice McDonald in the year 1940. McDonalds is the largest hamburger fast food restaurant in the world. The company has more than 34,000 outlets in about 119 countries. The McDonalds Company has headquarters situated in Oak Brook, Illinois. The McDonalds Company has about 1,800,000 employees serving 68 million customers. The products offered by the McDonalds Company in its menu are variety of chicken sandwiches, sandwiches, hamburgers and cheeseburgers, fish o fish, oatmeal, French fries, sundaes, soft serve cones, pies, salads, snacks, desserts, nuggets, snack wraps, milkshakes, soft drinks, coffee, and other beverages.